The project in collaboration with the artist Carla Accardi originates from a reflection on time and the physical space of art. “Tense” bears the twofold sense of time and physical as well as muscular tension. An abstract line overlaps with the corporeal essence of the canvas. 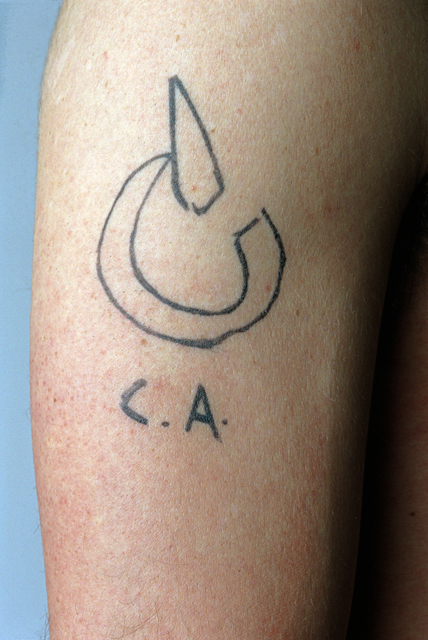 The sign, previously drawn with Accardi’s felt pen on the artist’s right arm, and subsequently tattooed, defines an indissoluble bond and bridges across both generations.